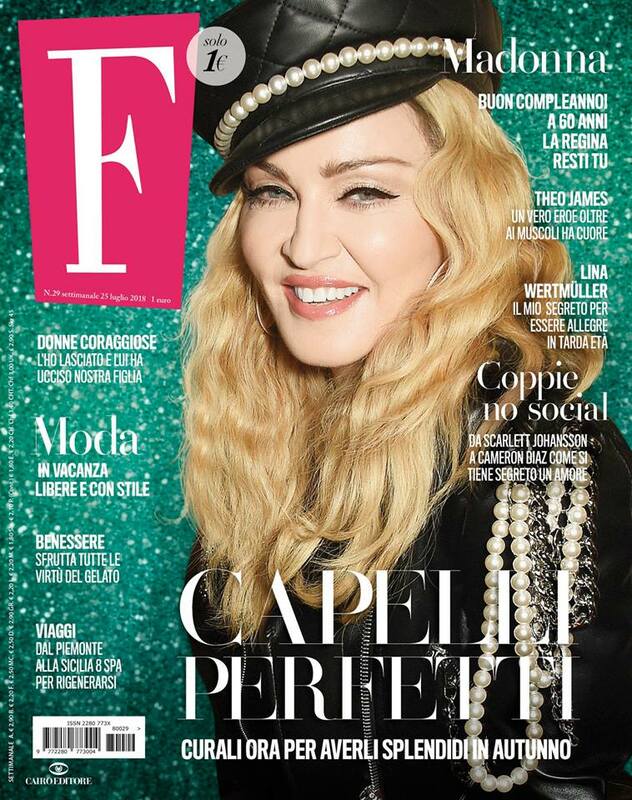 Madonna covers the July 25th edition of Italian F magazine with a story on her upcoming 60th birthday, ask about it at your local shop! 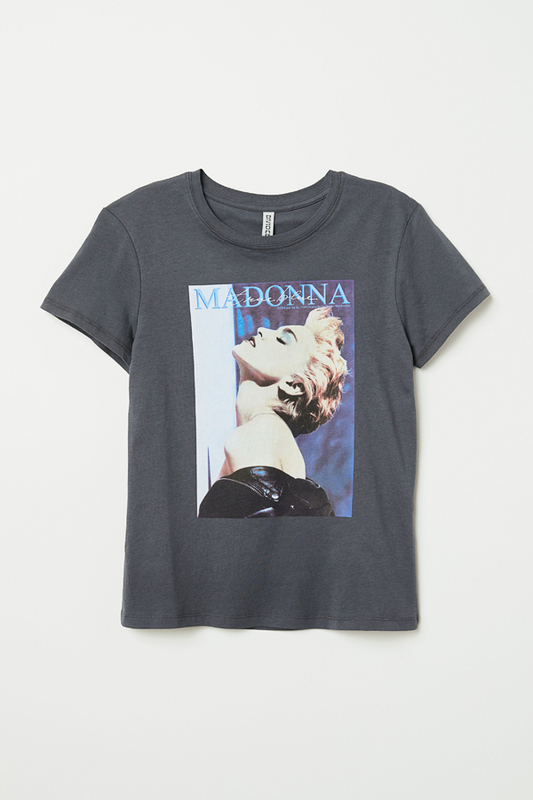 Previously available in pink and white, now also in dark grey. 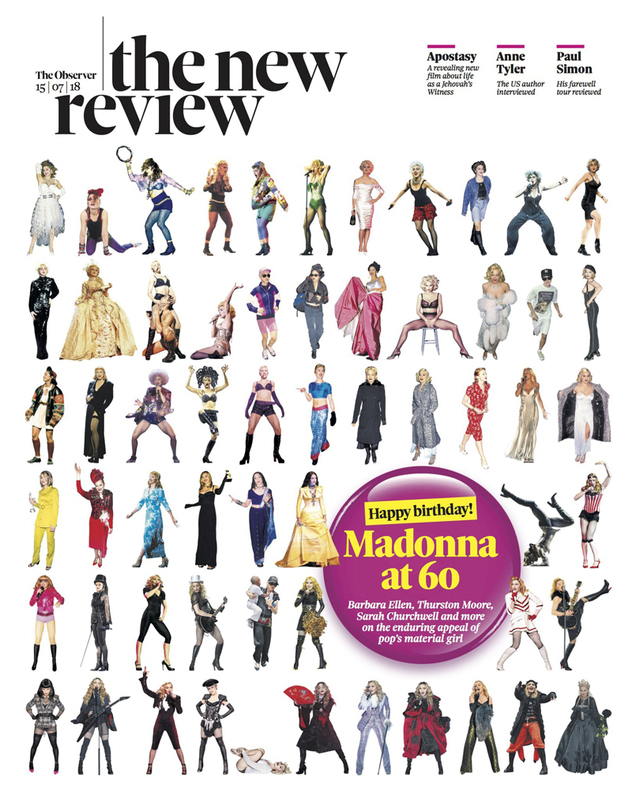 Madonna covers The Observer The New Review tomorrow! Tomorrow’s cover: Madonna at 60 – we celebrate the queen of pop ahead of her 60th birthday in August 2018 Featuring: Matt Cain, Sarah Churchwell, Carlton Wilborn and Nancy Whang.